Tis the season to make like Clark Griswold and blind the neighbours. 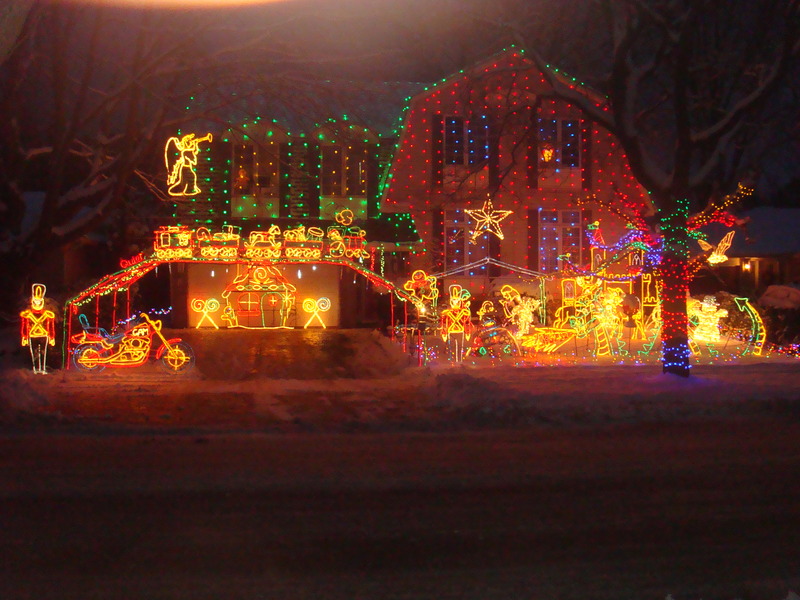 Or if you’re more inclined to keep the peace and your outdoor holiday décor festive, but not tacky, and you still want to enjoy Christmas lights with your family, head out to one of the great light shows found around the province. 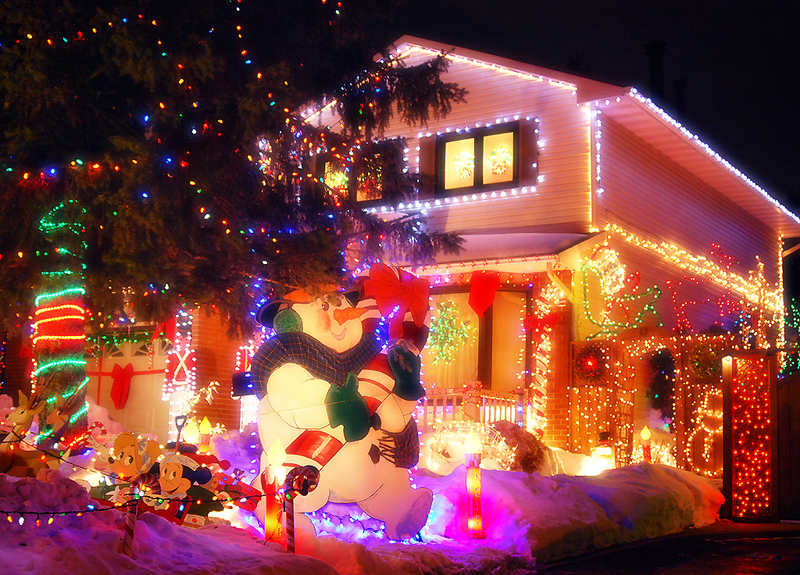 Nothing guarantees a smile on my family’s face at this time of year more than seeing the first lights on our street. We love them all: the pros, the amateurs, the kitsch, and the classic. It’s become a tradition to visit not only the display put on in one of the communities close to home, but also to visit individuals or neighbourhoods who band together to put on a show for kids of all ages. 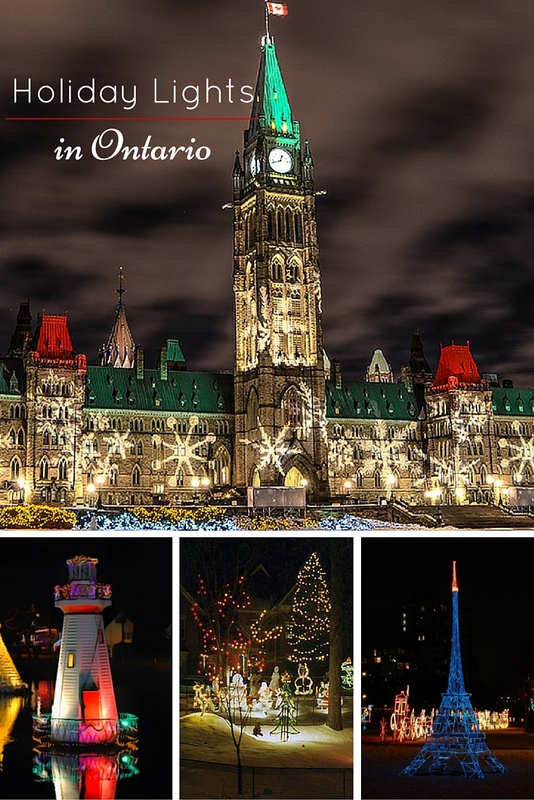 These are some of the eight best places to see holiday lights in Ontario – big and small. No town does over-the-top fun like Niagara Falls and its annual Christmas light show during the Winter Festival of Lights and Aura—an outdoor light display that runs 5 kilometres—is magical by anyone’s standards. Beginning November 3, 2018 and running to January 31, 2019, Niagara Falls becomes a winter wonderland. The Festival uses millions of lights to bring to life giant figures and magical scenes, a laser light show, as well as a Friday evening fireworks display over the Falls. Begin your visit in Niagara-on-the-Lake and take part in an annual candlelit stroll through the historic town. This years marks the 22nd running of the Lakeside Festival of Lights along Burlington’s waterfront. 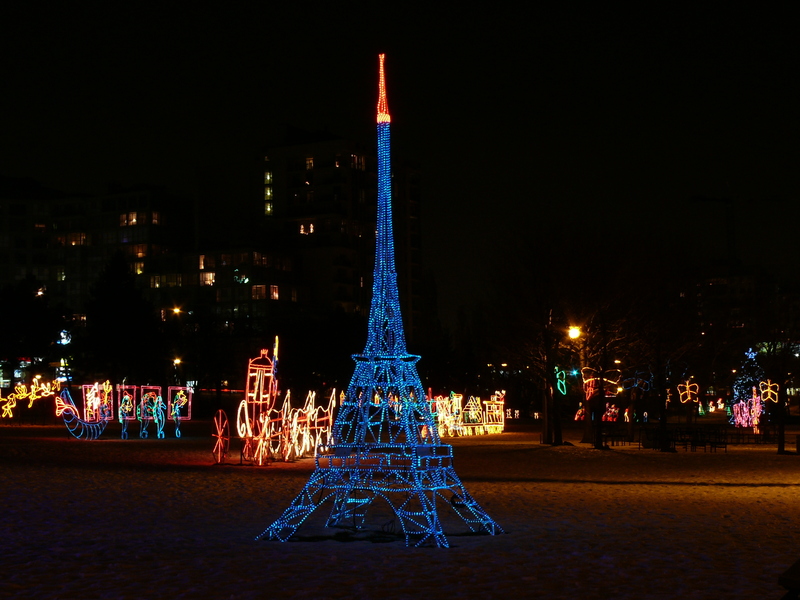 The entire family can enjoy over 60 displays that light up Spencer Smith Park every night until January 8, 2019. The Festival is outfitting many displays with LED lights in an effort to be more environmentally friendly and economical. The Musson family has been decorating their home for over 30 years. First in Calgary and then in Burlington; the tradition has passed from one generation to the next and now even the backyard is decorated. The family says their motivation for decorating their home is for the simple joy of it and to make people smile. 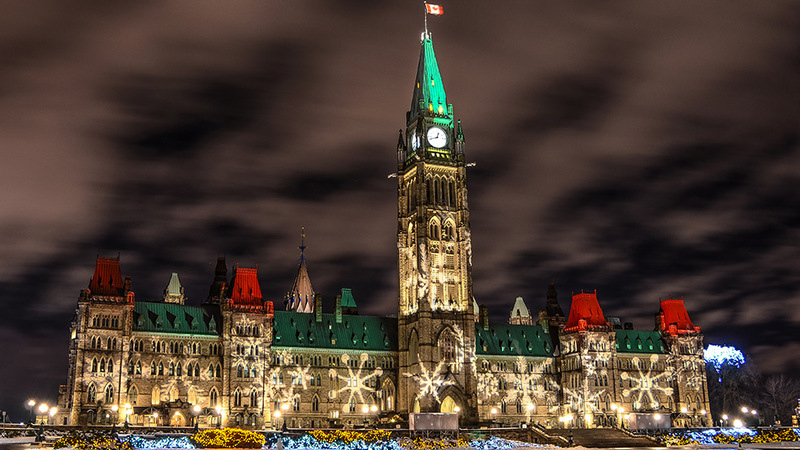 Christmas Lights Across Canada light up Parliament Hill and other major landmarks along Confederation Boulevard in Ottawa beginning December 5, 2018 through January 7, 2019. The first lighting took place in 1985 and coincides with other participating capital cities across Canada. It’s an event that draws tourists to the city. This year it also includes a sound and light show that runs each night. 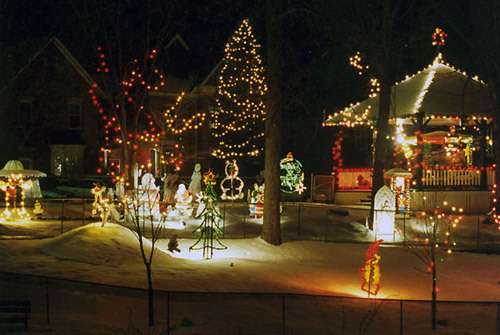 Taffy Lane is an Orléans street that has neighbours joining together to turn their street into a fun Christmas wonderland. The tradition began in 1981 with one resident—Peter Abercrombie—and is carried on by his neighbours, although Abercrombie is still involved. The street attracts thousands of visitors, some by the busload, every year. 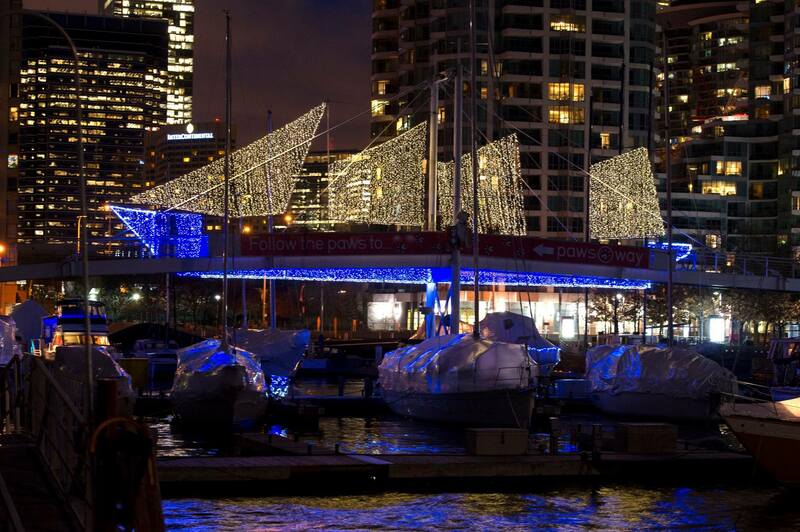 The Spectacle of Lights on Toronto’s Waterfront is not to be missed. Four installations bring a festive spirit to the area: the spiral tree, a firetruck and snowflake, harps and a canopy, and of course, tall ships along Amsterdam Bridge at Harbourfront Centre. It’s a beautiful installation made even more spectacular by its location. The Spectacle runs from November 2018 to April, 2019. Simcoe, near Lake Erie, has a beautiful downtown core that follows the flow of the river through Wellington Park and Clifton Park. 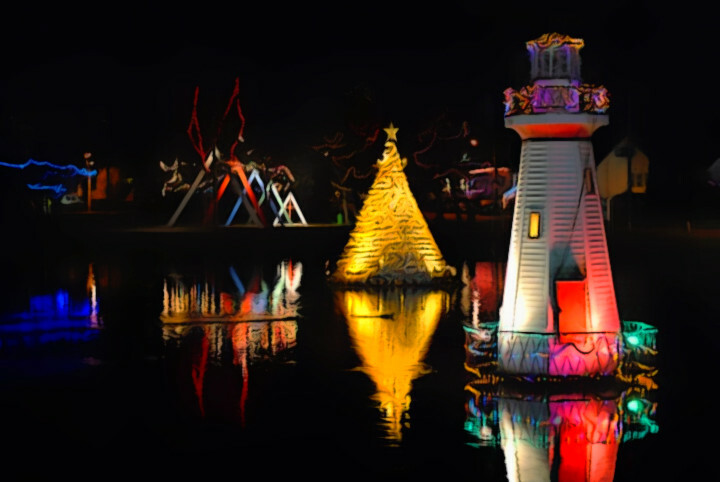 Tens of thousands of lights are used to animate festive displays and the parks’ decorative landmarks during the Christmas Panorama River of Lights from December 1, 2018 to January 6, 2019. Visitors can warm up beside the fires throughout the parks while sipping on hot chocolate or take a horse-drawn trolley ride. There are six weeks of events surrounding the Festival of Northern Lights – skating, concerts, dog sledding, gallery exhibits, along with the lights, which are on display from 5pm to 11pm every day from November 17, 2018 to January 6, 2019. There are also free horse carriage rides on two Saturdays during this period to allow you to enjoy the lights with a nostalgic perspective. There are great neighbourhoods all around Canada and the USA to enjoy Christmas lights now that the festive season has begun. Where do you plan on taking your family this year? I miss Parliament Hill the most. I always loved the way many places along the Rideau Canal would be all decked out the closer you got to downtown and then of course the beautiful lights projected on The Hill were awesome! Great post. I feel like I have just made a quick visit to Ontario!